Holy cow, we’re nearly there! 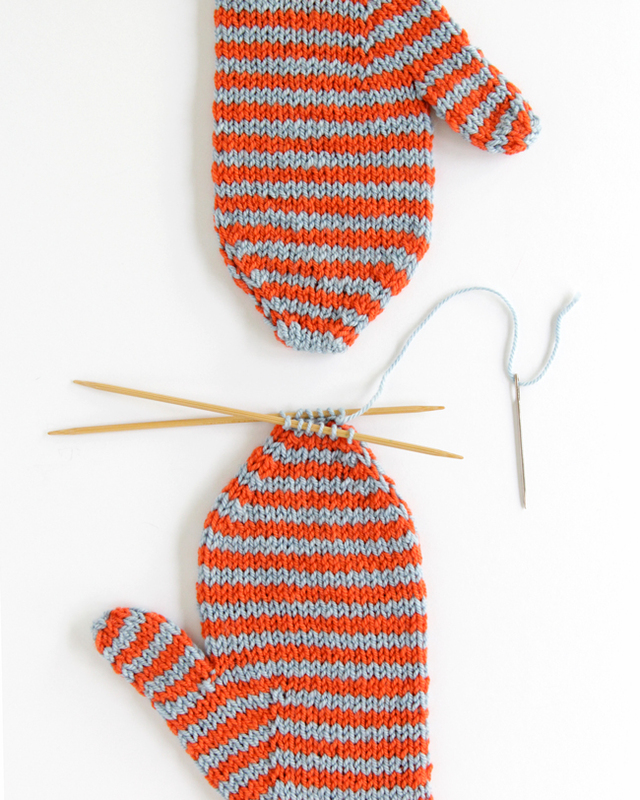 Today marks the last tutorial day of the Funkasonic Knit Along, so of course today is all about the bind off. 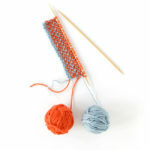 Would you believe that I, who have been knitting since childhood, had never used a kitchener stitch (a.k.a. 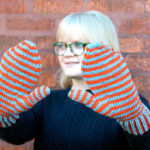 grafting) bind off mittens and socks before these projects? 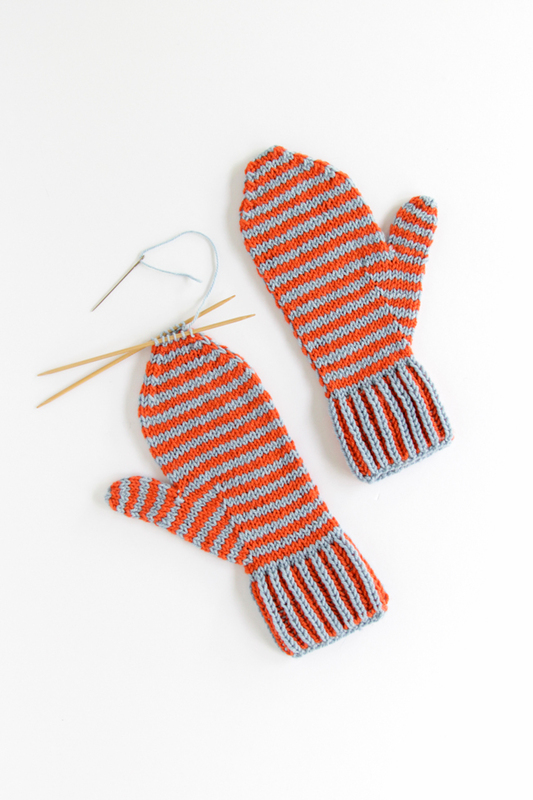 I could kick myself – the knits finished with kitchener stitch are so elegant and professional looking! 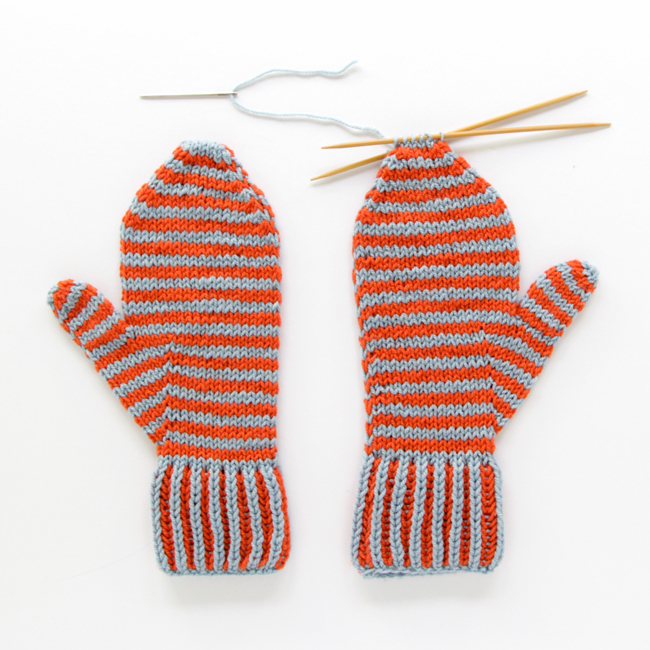 This method of finishing a project results in a seamless finished look, despite being seamed. 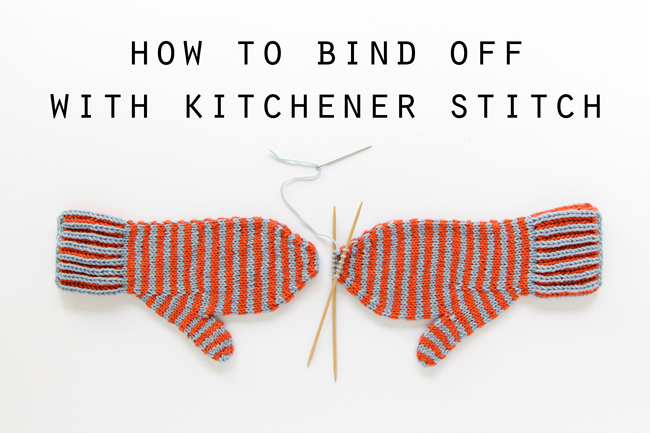 Using the kitchener stitch to finish cuff down mittens and socks is particularly excellent because the finished result isn’t lumpy, which is great to avoid discomfort on sensitive fingers and toes that lumpy finishes can cause.